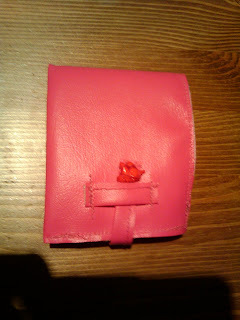 So Friday night my friend Cassandra asked if I could make her a wallet. I had never made a wallet before so of course I said yes! I had some left over pleather type material that I thought would be perfect! 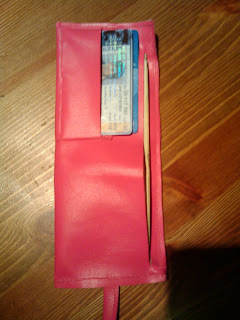 So I made a fluorescent pink vegan wallet. She bought it for $15!! So now I know how to make a wallet. I only have pink in regular and fluorescent. So If you would like me to make you a very homemade looking wallet let me know! Yes that is a tiny unicorn button on the strap! That's awesome! Next one should have a change pouch in it. I love change pouches, even though they are getting more and more irrelevant. The coolest tiny thing ever! Two new things to sell. The Sock Monkey Army is Rising Again!! A commision for a co-worker.